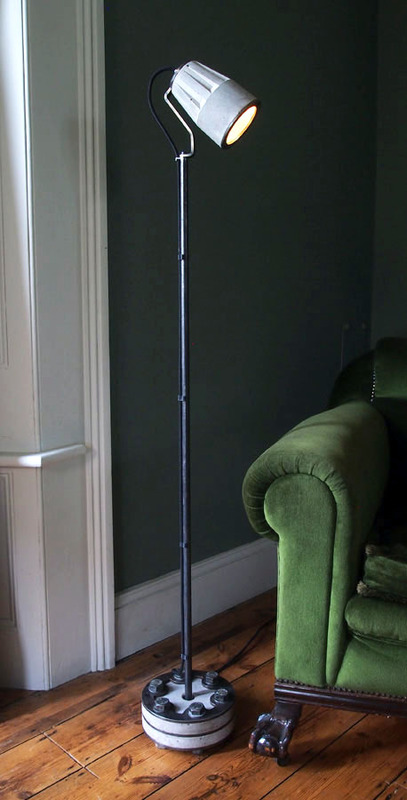 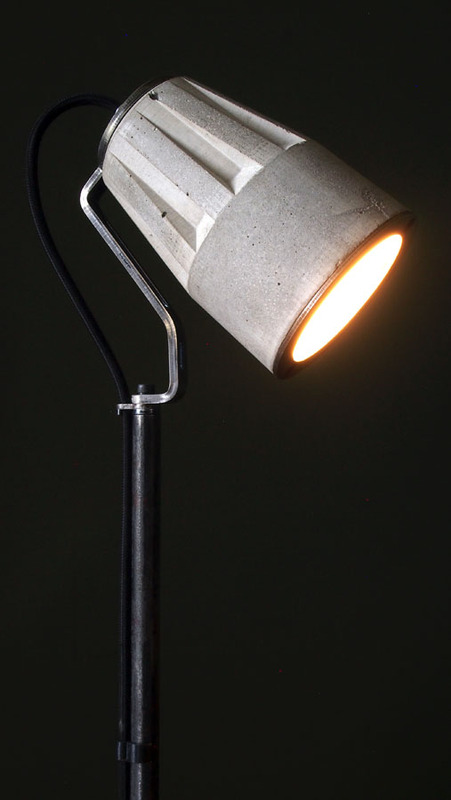 The Standard Lander is a concrete floor lamp with a fixed height and fixed angle head. 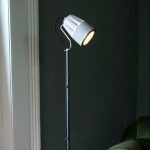 The shade is set at 45 degrees and a height of 1400mm, ideal as a reading lamp or secondary lighting. 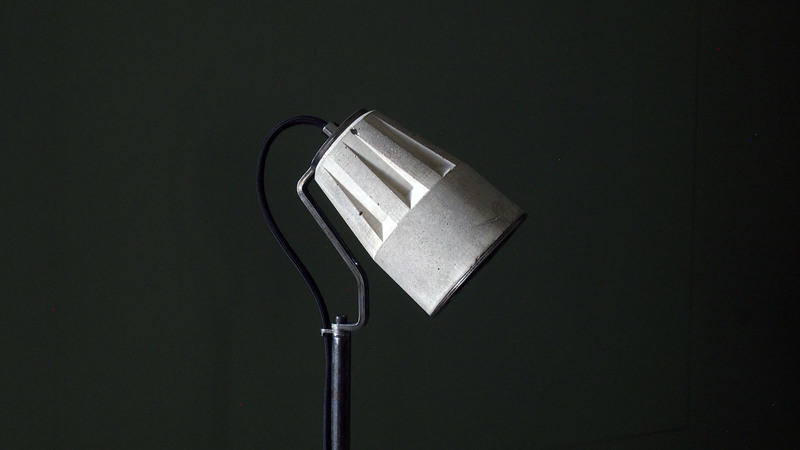 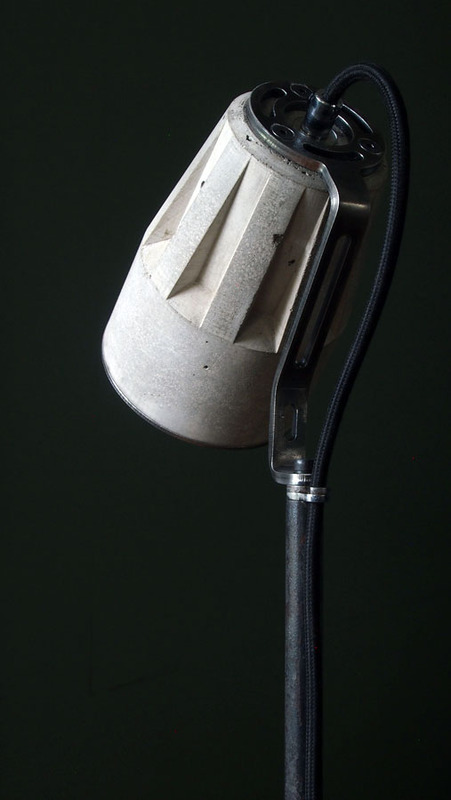 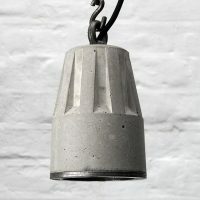 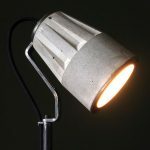 The Standard Lander lamp shade is cast with a lightweight formula concrete mix. 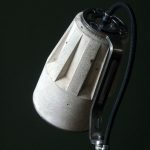 To reduce the concrete mass, the stone aggregate is replaced with expanded glass spheres. 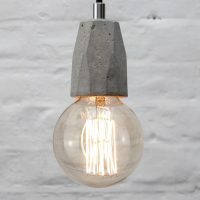 The glass spheres are made of aerated recycled glass and are just like tiny Malteasers but without the chocolate coating, and they probably don’t taste like melt in the mouth confectionary. 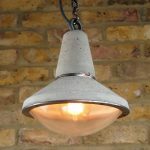 The expanded glass aggregate reduces the mass by a third, yet retains the look and feel of a concrete mix with stone aggregate. 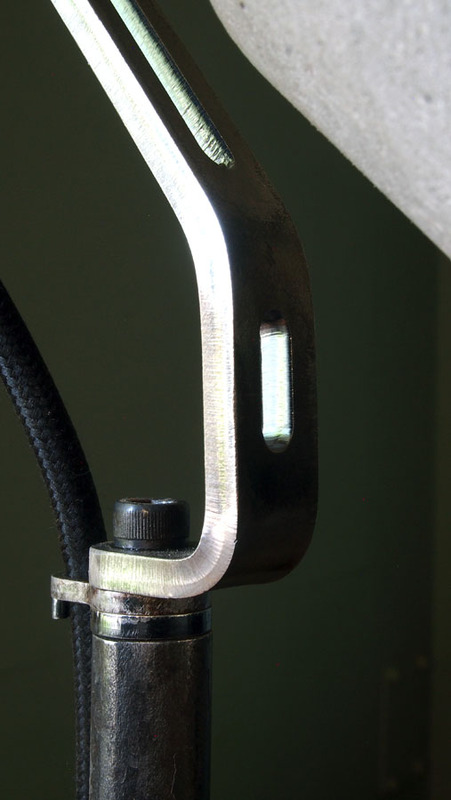 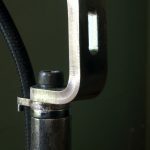 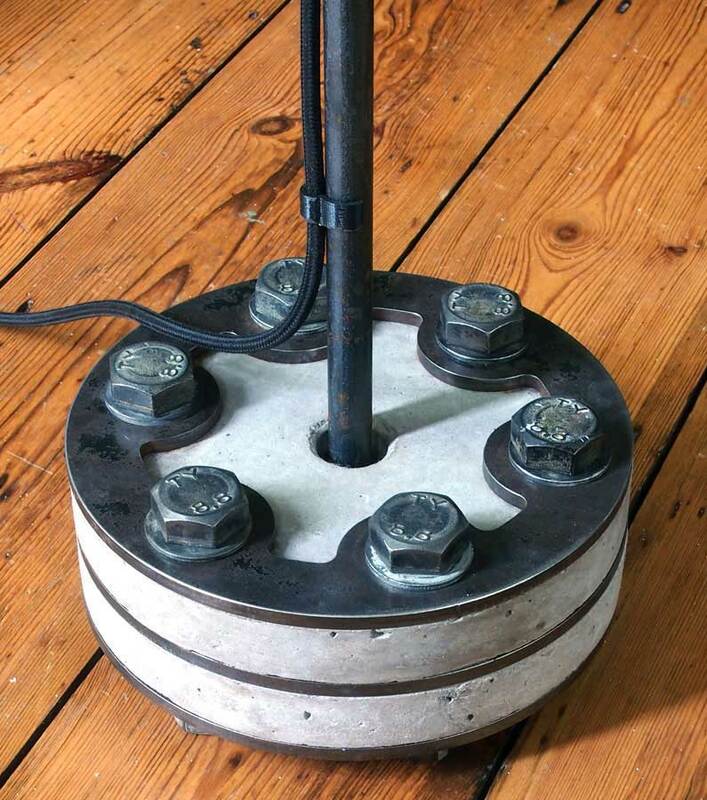 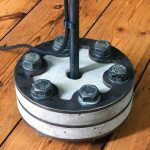 The steel stand upright is of 16mm steel rod bolted to the concrete and steel double layer ‘sandwich’ base. 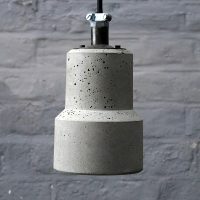 The concrete disks of the base are cast with conventional granite aggregate to maintain the weight in the base. 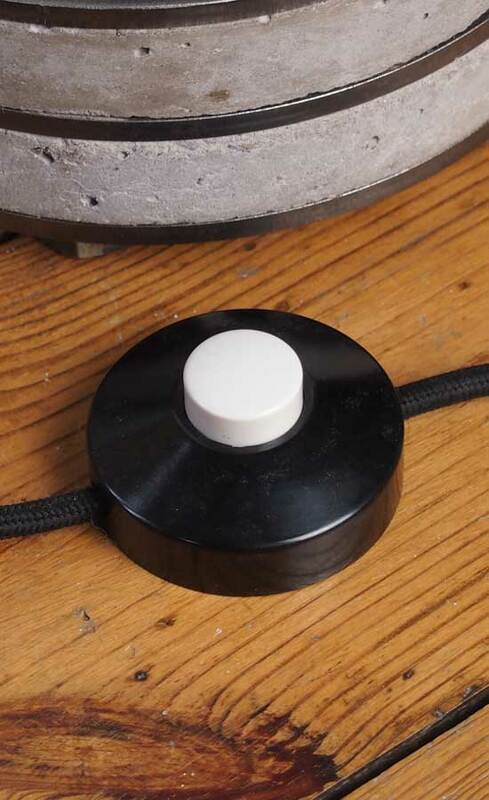 Italian made Bakelite footswitch. 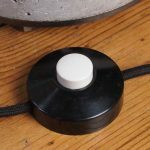 These are the best footswitches I could find, substantial and well made.